I was supposed to make this into a jack-o-lantern cake, but I just couldn't bring myself to do it. 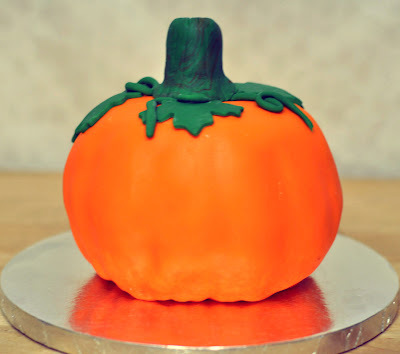 I was so happy that it actually turned out that I had to leave it as a pretty pumpkin. I think this would be an awesome addition or substitution for a pumpkin pie on Thanksgiving. 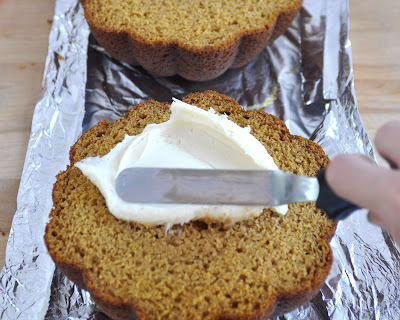 *Note: The pan I used, "The Great Pumpkin Pan" uses 10 cups of batter. That's about 1 1/2 times my pumpkin cake recipe. Spread some frosting in the middle of the cake to stick the two cakes together well. Cover the outside of the cake with frosting. 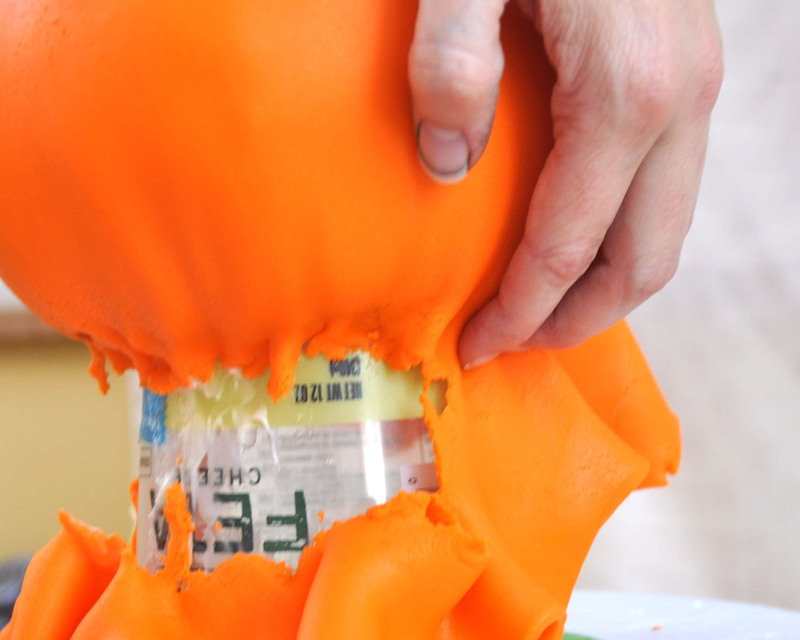 It doesn't have to be pretty, it just acts as a glue for the fondant. 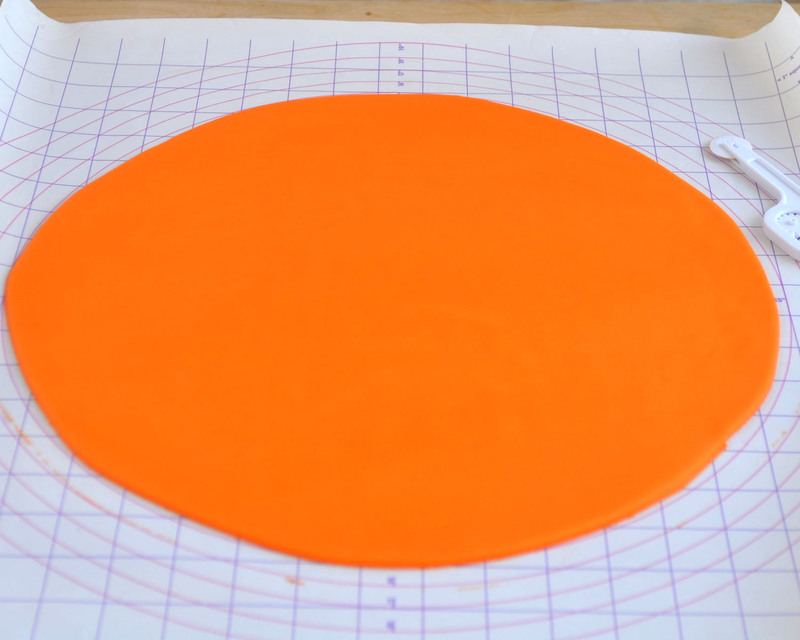 To figure out how much fondant you need, you want to measure the cake. 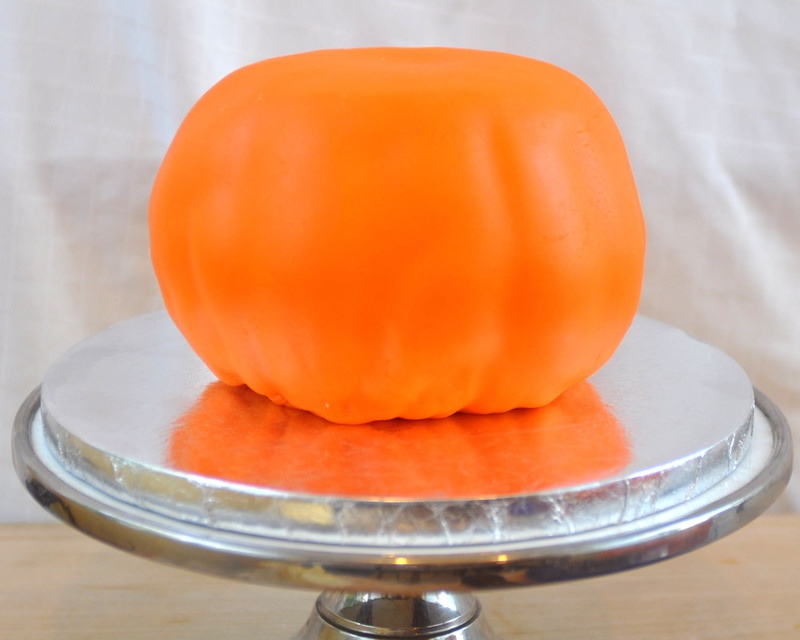 The cake is about 5" round in the widest part. And it's about 5" tall. 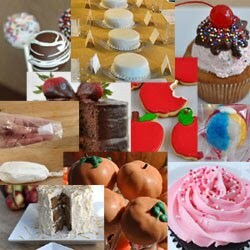 A guide for how much fondant you need can be found here. And my complete tutorial on how to cover a cake with fondant is here. 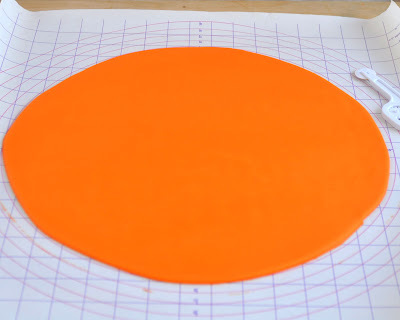 You need to roll that fondant on a mat or a piece of parchment or waxed paper that's generously greased with shortening. Roll it into a circle that's equal to two-times the height plus the diameter of the cake. 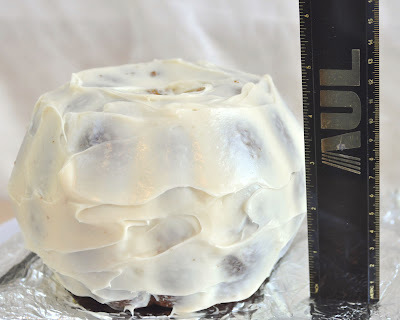 So, for this cake, I need two times the 5" height (10") plus 5" diameter equals 15" circle. To get the fondant on to the cake, raise the cake up on a bowl that is a little smaller than the bottom of the cake. 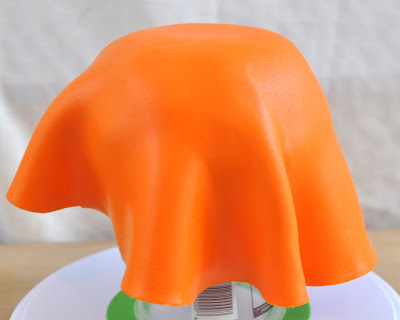 Slide your arm underneath your rolling surface, line it up with the cake, and flip the fondant over on top of the cake, peeling back the mat or paper. Smoothing this actually proved to be a little easier than I'd anticipated. I just kind of slid my hand down the cake, and it smoothed really well. 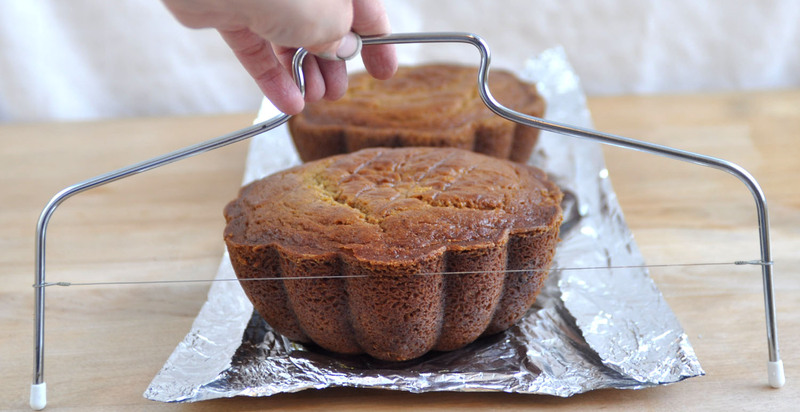 You just want to work to get the big wrinkles below the surface of the cake. And you can use a pair of clean kitchen shears to clip off the extra fondant that hangs below the cake. 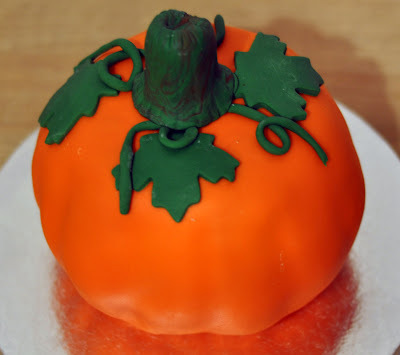 To add the stem, leaves, and vines, I used green fondant. I marbeled some brown in with the green for the stem. (I think I'd like it better all green, though.) I used the back of a butter knife to make the indentations for the stem. And I used a maple leaf cookie cutter to make the leaves. Brush the backs of them with a little clear vanilla, water or vodka to help keep them in place.